The place where many people in Warner Robins get their morning brew is closing. Some say Bare Bulb Coffee has been a staple in town for five and a half years. The non-profit shop is owned by the Flint River Presbytery. The shop's supervising Pastor, Susan Alley, says there are many reasons it's closing. "Number one, our lease is running out, and the construction out here on 96 really hurt our business in the last year," says Alley. She says their lease is over in April. The coffee shop originally planned to close on January 31st, but they received help from the community and were able to stay open a month longer. 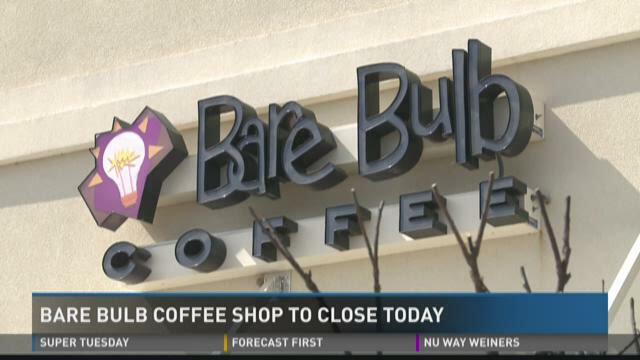 Hannah Albritton says Bare Bulb is more than just a place to get her coffee. She says it's where she performed live for the first time. "Because I'm a musician, this is actually the first place that's got me out of my comfort zone, that I've played anywhere. I'm really sad because it was really the only place that I got to go out. I'm home-schooled, so this is where I get to meet friends," says Albritton. Online professor Thomas Bullington is a regular at the Bare Bulb Coffee and the staff knows his order by heart.The traditional machiatto. He says he loves the quiet atmosphere and that every dime he spends is benefiting Warner Robins. Bare Bulb offers Christian ministry, art classes, open mic nights and food for children in need. Their doors close at 9 p.m. February 29th. The Light Ministry will still have service in the Spare Bulb building next door.